When people talk about the pay gap they often cite the generally accepted figures of 10–14 per cent difference in pay between men and women, this gap being more noticeable in the higher echelons of business. Critics admit that the pay gap is real but explain away pay differences by stating that women earn less on average because they work fewer hours, and female-heavy sectors are paid less than male-dominated ones, so a pay gap should be expected and accepted as part of the way of things. This is often accompanied by a push to get more women into the higher-paying science, technology, engineering and mathematical fields. But while it is true that women do on average work fewer hours, neither side is asking why this is the case, and why female-dominated industries are paid less. Do women just primarily engage in unimportant work? To throw a spanner in the works, female plant and machine operators generally work more hours, on average, than their male counterparts (161 hours per month, as opposed to 160). When that’s taken into account, the gender gap in that sector actually grows: from 8.6 per cent for monthly wages to 9.2 per cent for hourly wages, which shows there is something at play other than women’s choices or work habits. The pay gap is not directly caused by employers paying women less because they are women: to be that overt in discrimination is illegal. It is completely legal, however, to pay two workers in the same field different wages for other reasons. As long as it isn’t a written company policy it is not illegal to set the initial wage offer much lower for women, Travellers, or non-white applicants. Employers can make the argument that Susan simply did not negotiate as well as Mark and therefore ended up with a lower rate of pay, without ever revealing that Susan was offered €5,000 less in the first place. Many work-places frown on sharing information about pay rates, so Susan may never find out that she is being paid less, or that her work-place has a pattern of female staff being paid less. Blaming women for a lack of negotiation skill assumes that the problem of the pay gap is an individual one, which women can solve on a one-on-one basis, rather than recognising that it is endemic and affects almost every industry. Like pushing for more women in IT, it doesn’t get to the root of the question why women earn less. Even the most skilled wage negotiator cannot go into the female-dominated field of child care and expect to get much more than €10.50 an hour—a far cry from both the sectoral average of €9 and the aspirational living wage of €11.70. 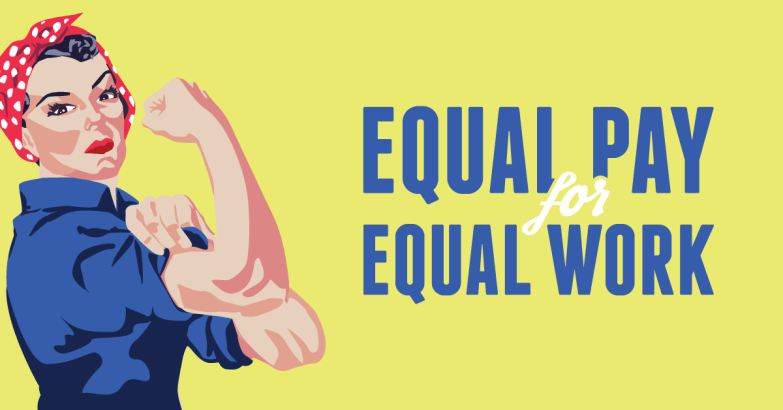 More than half the women in the work-place are earning €20,000 per annum or less, and most of these work in the services and caring industries. Child care, home help and special-needs assistants are often very expensive services to obtain privately, and difficult to qualify for publicly, but women in these jobs are universally paid very low wages. Caring is an industry that most other workers rely on so that they can go to work themselves, and its importance cannot be stressed enough. So how is this consistently low pay justified? This is where the diminishing of socially reproductive work rears its head. Socially reproductive work is maintenance of the home and family that is unpaid, often unthanked, and predominantly falls on the shoulders of women. It is this work that is essential in keeping the nuclear family producing future workers and maintaining current “human resources”—and it is all at no cost to the companies that profit from their use. Capitalism knows a good thing when it sees it. The vast majority (98 per cent) of those who were looking after homes and families in 2016 were women. Even when both partners are working full-time outside the home, the responsibility for the home and children still falls on women. It is this presumed assumption of the“sacrificial Wife and Mother” roles that women are punished for in the work-place: they are the ones who are assumed to take time off for sick children or dental appointments or who need to leave early to cook the family dinner. As a direct result they are offered lower rates of pay before negotiating begins, and are less likely to be promoted once they have secured work. It is a bizarre circular logic, used to back up and reinforce outmoded gender roles and hierarchies. It is the exact same line used to dismiss women’s paid jobs in the essential caring sector: home help, child-minder, cleaner, etc. Women do these jobs free out of love and duty in the home, and are manipulated into providing the same services for a low wage outside the home. These jobs are deemed less demanding, not requiring the same level of skill or training as “male jobs,” by virtue of the fact that women do them. Why would men go into an underpaid, undervalued field, or stay at home or take time off for a sick child, when it makes no economic sense? Until socially reproductive work is properly appreciated and paid, the possibility of men and women sharing the role equally does not exist. Until pushing men into child care makes as much sense as pushing women into the higher-value science, technology, engineering and mathematical fields, we have a problem with how we value social and caring work. Now that the vast majority of families are required to be dual-income homes to afford increased living costs, the playing down of women’s work inside the home and out is increasingly destructive and keeps women and their families chasing ever-diminishing returns. Lone mothers are doubly penalised for this. Already earning less by virtue of being women, they must also reduce their working hours to care for their child. This is the silent pay gap, and it is where we can see the culmination of the dismissal of women’s labour and the capitalist promotion of the nuclear family: working to pay the child care to go to work to pay the child care. 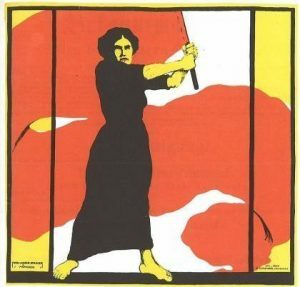 The independence that women are promised by capitalism in the work-place is a cruel lie and at best has increased their work load for a small fraction of the pay of their male counterparts while ignoring and playing down their contribution to society in the home. The subjugation of women is an integral part of capitalism, and women can never be free under it. The solution is not to get more women into higher-paying fields. A woman earning €50,000+ per annum and employing a cleaner and child-minder on the minimum wage is part of the problem, not an answer. We as a society must appreciate the necessary work of caring and provide solutions to the individualisation of caring responsibilities in the home. This cannot be done under a capitalist system but requires a huge economic, political and social shift. We need a society that acknowledges that it takes a village to raise a child, and this is something that should be celebrated. We need state-run child care and care homes, with employees who are paid fairly. We need properly funded state-run hospitals with a staff that are not working 48-hour shifts; mandatory paternity leave and parental leave to be shared between parents; and state education to third level that is accessible to all and doesn’t pigeonhole students according to gender, race, or class. We need public housing, and strong trade unions with good legislation behind them. For the slave of a slave to be free, we need to break the shackles that hold us all.